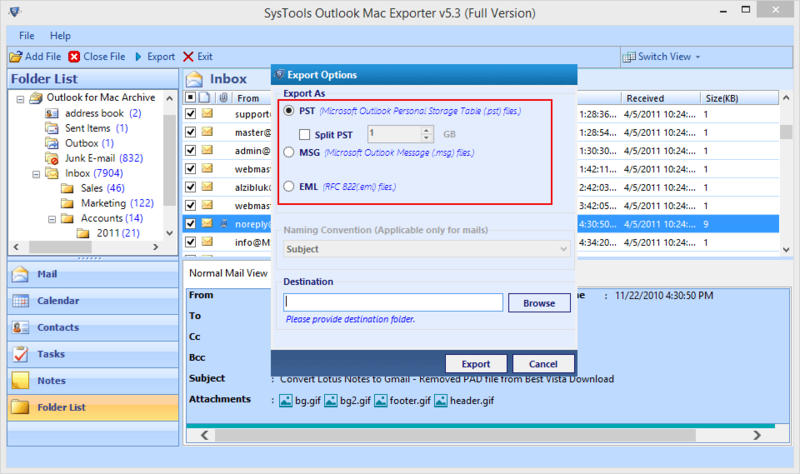 OLM to PST Export Tool migrates the data from Outlook Mac mailbox into three different file formats i.e., PST, MSG & EML with metadata preserved. These file formats are perceived as common formats and supported by multiple email client applications. Most of the tool fails when it comes to perform batch file conversion, which means of processing multiple data files in a single execution. But OLM File Exporter emerge as a perfect tool This tool, that can convert data of N number of OLM files into PST concurrently. OLM to Outlook data file Converter is built to move entire data of Mac Outlook OLM file to PST. And hence attachment that is always considered as important part of emails are also moved by the software and remain intact after conversion. While converting OLM file emails into Windows Outlook Data file, the tool allows to employ various types of naming convention structure on single mail messages. These naming convention systematize the pattern in which a user is going to save the emails. In case, when you need to fetch some specific items from your database, users can select the required items and start moving them. The same function can be performed by OLM to PST Export software. Therefore it exports OLM to EML, MSG, & PST. Once the software scans the OLM files, it generates a scanned copy of Outlook Mac data file so that they can be used further when required. The advantage of this scanned OLM file is that, it free up users to re-perform the scan process again and again. 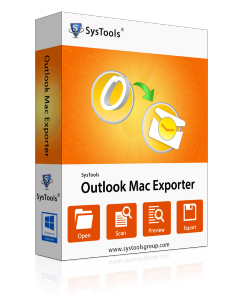 Outlook Mac Exporter is only compatible with Windows operating system as its name implies. So, if you are a Mac user and you have recently switched to Windows OS, then you can run this tool on your machine and convert OLM file data into PST file format. User Interface of any software or application matters a lot because it gives convenience to users who are interacting with the product. 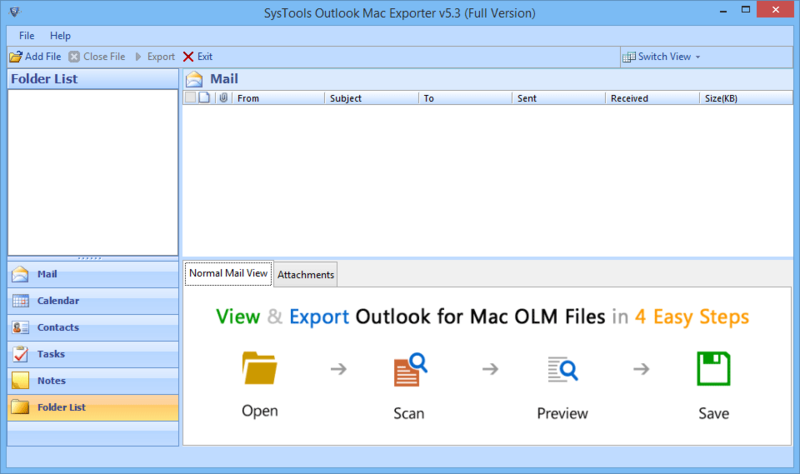 Similarly, Outlook Mac Exporter software is designed and molded as Outlook alike interface with the aim to provide you an ease in operating the software. 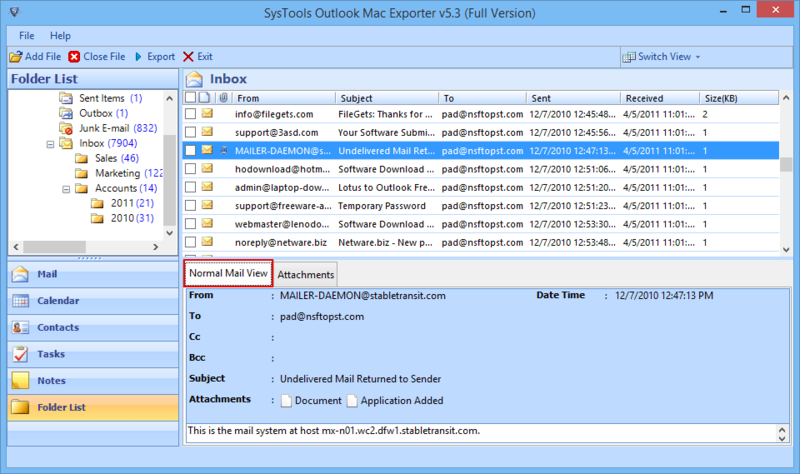 Does the software extract attachments from Mac Outlook? Yes, the tool can extract attachments from OLM file of Outlook for Mac and embed the extracted attachments into emails in their source format. 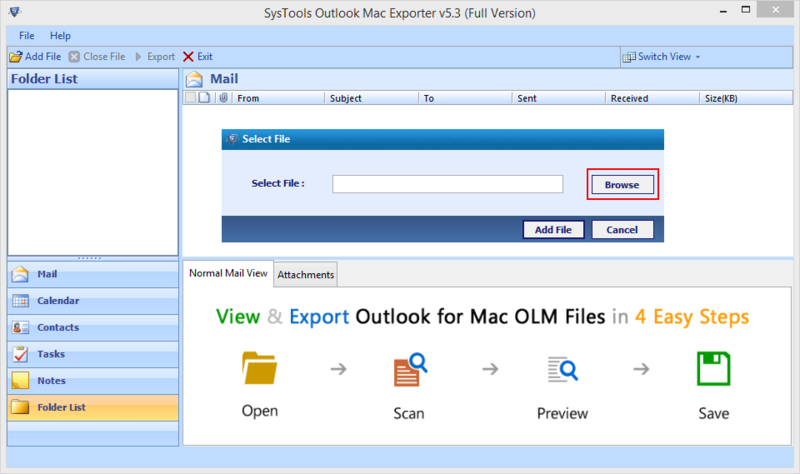 Does the software support exporting Outlook Mac to PST, if OLM file is corrupted? No, the software only allows to convert healthy OLM file to PST. The corrupted OLM file need to be fixed first, then after you can go through this tool. In OLM to PST conversion, does the software generate ANSI or UNICODE type PST? The software creates UNICODE type PST. Also users can split the converted PST into multiple parts if required. After using MAC OS approx for a year, I thought to move onto Windows but get stuck due to certain problem while moving OLM emails to PST. Thanks to the developers for building this tool which has enough features needed for OLM file conversion to PST. The software not only converts Outlook Mac emails but also extract attachments at the same time. While searching for the method to move Mac Outlook OLM file emails and contacts to Microsoft Outlook PST file, I've gone through some articles, thread and even some shareware utility from the web sources. Out of them, some were bit relevant but did not find any definitive solution. At last, I tried OLM to PST Export software and the outcome was amazing. Copyright © 2019 www.outlookpstviewer.org | All Rights Reserved.